We Specialize in the installation of Seamless Eavestrough, Vinyl Siding and James Hardie Board Siding. We Dedicated to the following Communities in Central Alberta. 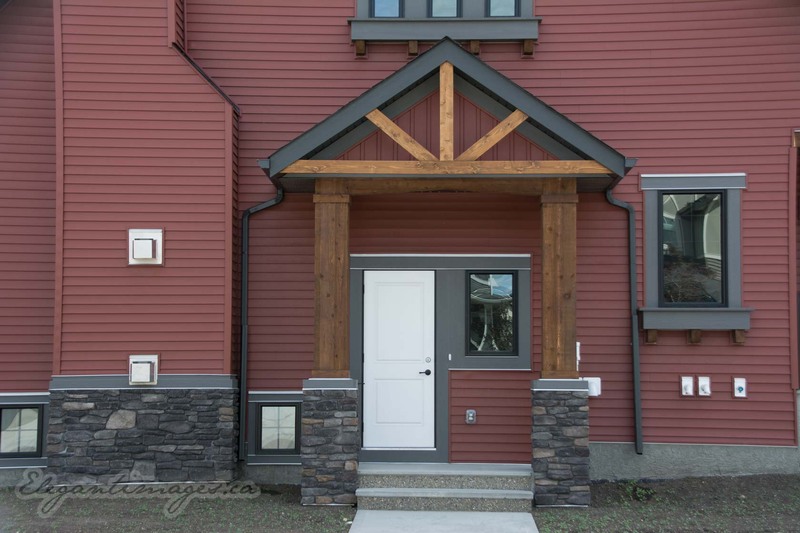 Looking for a Professional Exterior Contractor? You have come to the right place. 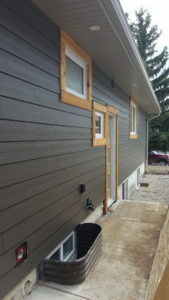 If you building a new home or are looking to do an exterior renovation in these Central Alberta area? Give us a call. 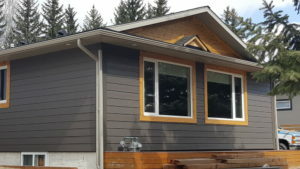 We have over 16 year experience installing exterior siding and seamless gutters. We are a local company and we are fair! Meaning we are your neighbour. We are proud to live in Central Alberta too! There is No hidden costs, No jacked up rates because of travel time, No big face-less company to try to explain your needs too. Why Choose us for your next Vinyl Siding, James Hardie Board or Eavestrough project? Licensing: We are fully licensed, bonded and insured. We have our own WCB coverage and carry 2 Million in Liability insurance. Warranty: Up to 50 year 0n Vinyl siding and a 30 year transferable on James Hardie products. We also give a 5 years workmanship warranty on the installation of your project. No Hidden Costs: In addition to great service, we promise no hidden costs! When we give you an estimate or quote for your project you are getting the whole price! No tricky add-ons later. If there is something we missed in the quote, we will not come back to you and ask for more money. It may sound old fashion, “But our word is our Bond!” We pride ourselves on living and working in the heart of Central Alberta. Where a mans word & his handshake means he is reliable and trustworthy. We your neighbor, and honored to be a part of the Central Alberta community. Vinyl Siding: The affordable option to choose from. Its Low maintenance, so you can have the time to do the important things in life! 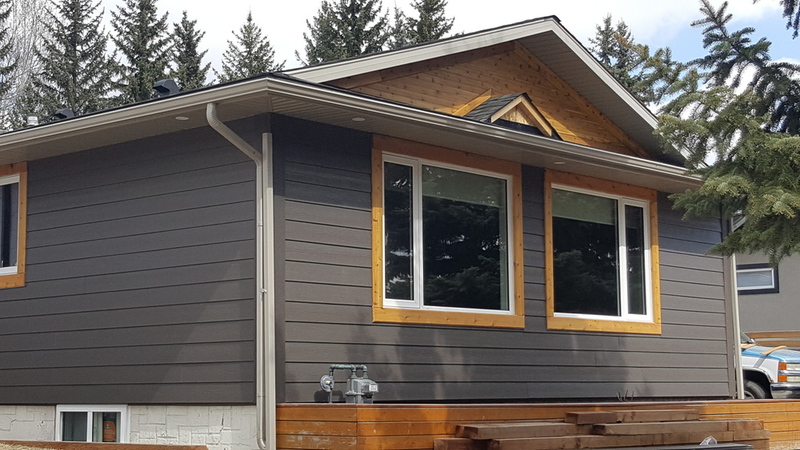 Vinyl Siding is weather and wind resistant and very durable, that will come in handy for those harsh Alberta winters. 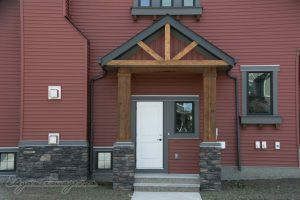 There are many vinyl siding colours to choose from, you can get the colour and profile that you always wanted. Warranty is up to 50 years! Soffit, Fascia, Cladding: Protect that old wood with a new covering of aluminum. No more painting. There is a wild selection of colors and styles to choose from. Including some new Aluminum that looks like wood grain. Let Viklund Contracting make your home maintenance free! Eavestroughs and Gutters: Eavestroughs and Downspouts come in many different colors. We do seamless eaves trough to help displace the rainwater and the snow melt to a safe distance from your home. Perfect for Residential or Commercial building. Call Natalie at Viklund Contracting at (403)617-7280. Or fill out the contact form and we will get back to you as soon as possible. We are happy to answer any questions you may have about your next siding or gutters renovation. Free no obligation quotes! Would you like to meet us in person? Call us and let’s set up an appointment. Each project is different and sometimes needs to be seen to be understood. This entry was posted in blog, eavestrough, Locations. Bookmark the permalink.